The Strike King 3X Greg Hackney Zero is a sinking worm Senko style bait made of Strike King's revolutionary 3X plastics which makes it extremely durable and long lasting. 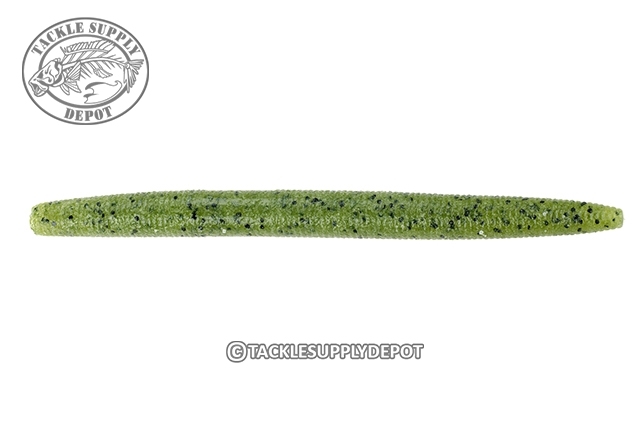 The Strike King Zero is impregnated with salt so it will still shimmy on the fall as it sinks however the plastic is super soft and flexibility which allows a lure that catches fish after fish and just keeps ticking. No more days of going throw 20 to 30 worms because they are ripping off the hook after each fish. The Zero is an excellent choice for weightless Texas rigs, Wacky rigging or on a Carolina Rig.